Here we go. The articles in this promised series are going to be shorter and denser segments and come much more often. They are already written, and the time has come. There will be a separate page posted after the first segment so you will not have to refer back to each article as it is published. In the beginning…G-d split the waters, the light, the time frame (more about that later), even Man, but before all that He needed to split the alphabet. The kabbalists tell us that the Red Sea (Endless Sea) was split from the very beginning, which they explain is the only reason why it could be physically split 2448 years later. They also tell us that on Moses’ staff were written the 72 Names and the 42-Letter Name, which were used to split the waters. But before even those essential Names existed there was the Hebrew Alef-bet, and like an egg, it needed to be cracked open. So, what if we could show you that there is a single way to split the 22 letters of the Hebrew Alef-bet in two that would give rise to the 42-Letter Name, the 72 Names, the Torah, the concept of Israel, the primordial mathematical constant phi, the 13 attributes and much more? This proof/study comes from a mathematical project my daughter and I have been working on together and has grown into this series of articles we prepared, the first of which is presented today. If you are mathematically oriented, please enjoy these pages to their fullest and please dig deeper and expand wherever you feel compelled. We cannot dwell on any one topic or point very long as we have a lot of territory to cover. While we hope you will see the profundity in each point we make, given the subject matter, we acknowledge that we are only scratching the surface. If you are not mathematically inclined, please do not dwell on any one equation or concept; try to take in the overall picture we are presenting, which is the real point of this paper. 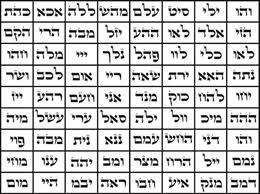 First, we need to ask how many ways the 22 letters of the alef-bet can be split into 2 separate groups? 222 – 1 = 4,194,303 different ways. We are going to make the leap here and assume that G-d exists and Created the alef-bet along with everything else. You do not have to. You can substitute whatever force of Creation you believe. As these articles progress, please check back in with your beliefs and assumptions as they may indeed change with what we are revealing. Nevertheless, 4194,303 different ways are a lot of options G-d was confronted with after He created the Hebrew alphabet. Abraham Avinu called them “the 22 building blocks” in his book, The Sefer Yetzirah (The Book of Formation), written 3800 years ago. We will soon understand why. 705,432 is still a whole lot of choices. Yet there is only One (1) perfect one. 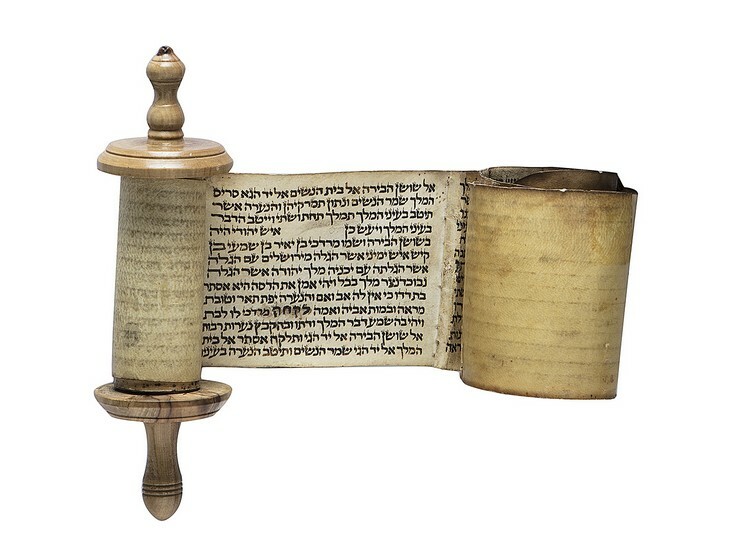 According to the writings of innumerable kabbalists, including R’ Shimon Bar Yochai in the Zohar, R’Isaac Luria, R’ Chaim Vital, R’Abraham Abulafia and the Baal Shem Tov, all of blessed memory, there are two matrices of Hebrew letters that were present at the beginning of the Torah and of time. Both are weaved into our daily prayers and prayer books: the 42-Letter Names (Upper and Lower) and the 72 Names (Triplets) matrix of 8 columns by 9 rows. The Upper 42-Letter Name is comprised of 3 iterations (spelling out expansions) of the unpronounceable Tetragrammaton (יהוה). The 3 levels contain 4, 10 and 28 letters respectively. The Lower 42-Letter Name is comprised of the 42 initials of the Ana B’koach prayer and is arranged in a 6 x 7 matrix, which according to the Ramchal, matches the innermost gate of the Holy Temple (6 x 7 cubits) to the Holy of Holies. The Baal Shem Tov tells us these 42 letters connect us to the 42 journeys of our soul and the 42 journeys that the Israelites made in the Exodus from Egypt to Israel, each journey delineated with the prefix mem (מ) and bet (ב), as in the Shem MemBet (מב) of gematria value 42. It is because of these Names that the first paragraph of the 1000-letter Shema prayer, which is directly excerpted from 3 places in the Torah, has 42 words and the 2nd and 4th paragraphs have 72 words each. It is also why the first paragraph of the Amidah has 42 words, as does the last large paragraph, which in turn is flanked by two isolated verses of 42 letters each. The significance of this perfection, especially the tiny remainder .054 will be apparent and explained shortly, suffice to say this precision (1000.0) in a calculation that involves the irrational square roots of 432 different components is impressive. Moreover, the fact that both the 72 Name matrix and the 1000-letter Shema share this number 1000.0 in common is not causational, nor is it coincidental; the reason for 1000.0 will also be revealed shortly. In it lies a secret to unlocking the future and to understanding why, in a universe based on 10 sefirot (dimensions), and on base 10 mathematics to interpret it, there must be exactly 22 letters (building blocks of unique energy levels). Since “G-d is One (Hashem Echad),” could there be One of those 705,432 different ways to split the 22 letters of the alef-bet that would reflect the numbers 42 and 72? Also tie in that pesky remainder of .054? And maybe do even more, maybe a lot more? Indeed, there is, and it is the simplest one of all: Odds and Evens. In order to understand the letters, we must understand the language of the universe. Just as soon as there were Hebrew letters there were specific number values assigned to them. The assigned numerical values ascend from 1 to 10, then 10 to 100 and finally from 100 to 400 according to a set exponential curve. The is the inverse of a logarithmic curve as will become important much later in this paper. From א to ת and 1 to 400. While we may think that assigning these values to the letters according to an exponential scale and using base 10 mathematics was very logical to the ancient Kabbalists it was a depart from the base 60 Babylonian counting system, and more significantly, it was far from random or arbitrary. When we say the numerical values associated with each of the 22 letters are on an exponential scale, we mean they increase in value exponentially from letter to letter. 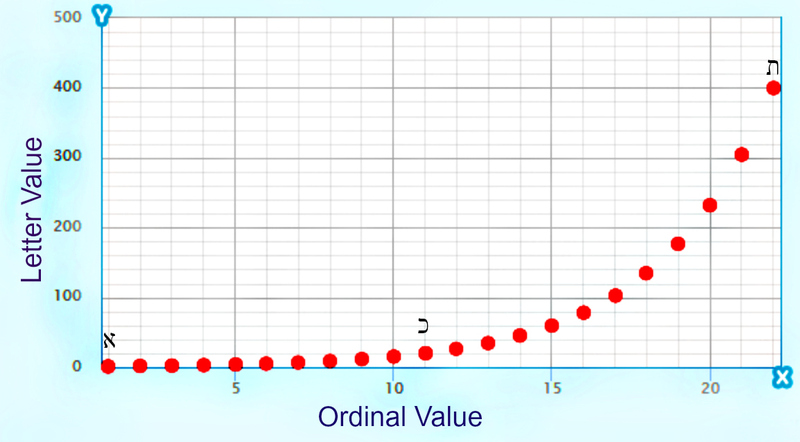 In other words, they fit an exponential curve, such that y = abx where y is our letter value (for example alef = 1) and x is the ordinal value of any of the 22 letters counted from 1 -22 (for example alef(א) is 1, as the first letter), and b is the factor that guides the exponential rate of growth. This does not mean that every letter value falls directly on the curve, only that the curve (exponential model) closely fits the data (the letter values), and that the starting value (1) and ending value 400 for the letter tav (ת) are directly on the curve and in this case, the 11th letter caf (כ) of value (20) is bang on as well. It is also the square root of 400 (tav) Astonishingly, in the case of the alef-bet, that exponent is 1.313, which just so happens to match the year 1313 BCE when the Torah was received at Mt Sinai . That Mt. Sinai has a gematria value of 130, and that 13 is the gematria value of echad (One) is definitely most significant though we have a lot more to prove before we get there. The Hebrew letters Alef, Caf and Tav anchor the curve at its ends and midpoint, while the other letters are slighting above or below the curve, This is because they are representations of energy, zones on a spectrum not fixed points, which believe it or not in mathematics is a very difficult concept. 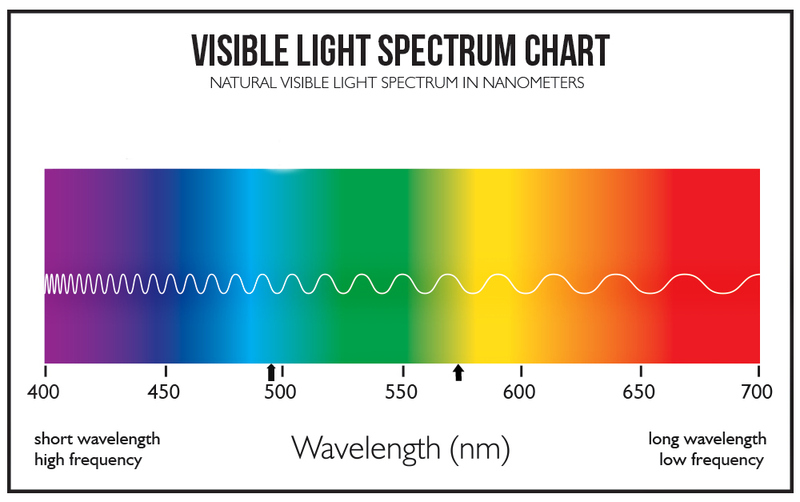 Think of the color green, there are an infinite number of wavelengths for it on the visible light spectrum, all falling within a zone of about 495 nm – 570 where the color takes over. The Hebrew letters are the same; they represent a narrow collective or bundle of similar energy frequencies, each letter at least as different from green is to yellow. There is yet another reason we can state the values associated with the alef-bet are not arbitrary. Unlike English, these 22 Hebrew letters form the initials to their 22 names. For example, the letter alef (א) is spelled out (אלפ), whose numerical value when we sum all 3 letters is 111, in itself pretty symbolic for the 1st letter of the alef-bet. If you are a geek, or studied any kabbalah whatsoever, that an answer about the knowledge of the universe would tend to 42, would not surprise you. That this sum of 22 irrational numbers, which should have been quite difficult (next to impossible) to calculate thousands of years ago, sums to exactly 424.242, may raise your eyebrows a bit though. Nevertheless, if you are a geek and maybe a kabbalist too, you would know that the digit string …42424242… occurs at digit #242424 within the mathematical constant Pi (3.14….) and the symmetry with 424.242 is just a bit too contrived not to have been embedded there for some reason. It begs the question, though, how would anyone other than G-d have been able to embed that, or even have known about it 5000 years ago? We must pause and ask ourselves, before we go ahead and split the alef-bet, could these letters and counting system possibly have developed organically from pre-existing hieroglyphs as some would have you believe? With the little we have shown so far, the odds against that are astronomical. So who gave us the Hebrew letters and told us what their specific values and energy levels are? The Hebrew letters are representations of different forms and levels of energy, according to the 10 sefirot (10-dimensional structure of the universe), and so too are the associated numbers assigned to them. This is why the relationships between them are extremely important to our understanding of the universe. This is also why they are directly related to all the core mathematical and physical elements of that universe, which we will soon prove. The predominant unified theory in physics for decades now has been the Super String theory, in which the smallest elements of matter are thought to be comprised of intertwining and bundled vibrating strings of energy set to 10 different levels of energy frequencies. Mathematicians have proven that this theory only works in a universe of 10 dimensions of space plus one additional one of time. 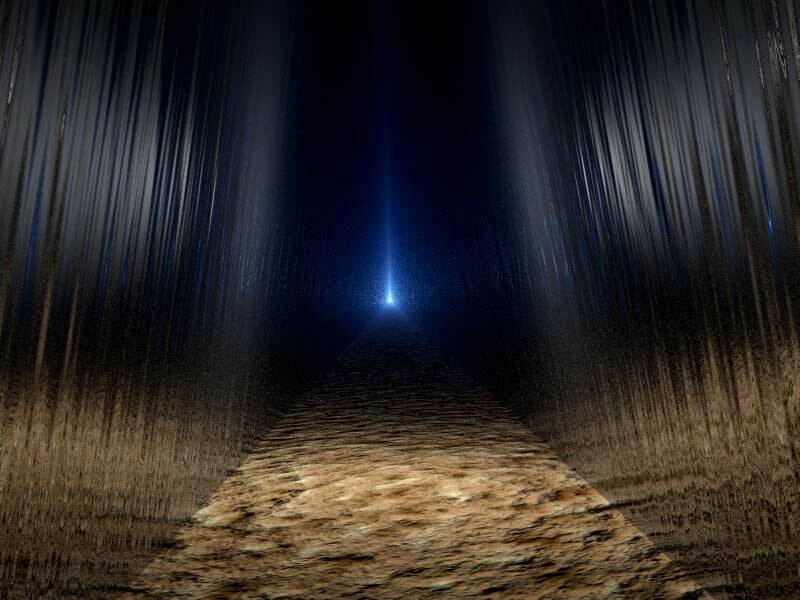 There are dozens of ancient Kabbalistic texts that describe the same structure for the universe, including the addition of the 11th dimension in the tree-of-life, which they call Da’at (Knowledge). 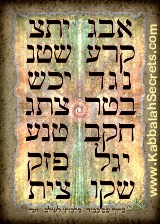 Connecting the bundled Kabbalistic dimensions are the 22 pathways of the tree of life, each connected to a specific letter of the alphabet. 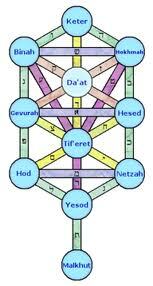 Moreover, and oddly symmetric, is the fact that the 3 initials of the central core of the bundled sefirot of that tree-of-life (Keter-Da’at-Tiferet) total 424. One could almost conclude that these early kabbalists had divine knowledge of the structure and workings of the universe. Perhaps the alignment of the Hebrew alphabet with its beautiful exponential model and matching data points at the 1st, 11th and 22nd letters is a cosmic symmetry with the 11 dimensions, or with the 11-letter split we are about to show you. Or perhaps it is because of these 11 dimensions and the energies they represent that when the 22 letters are split in two, we get two juxtaposed sets of 11 letters, which when split just the right way tell a very compelling and revealing story. That is a supposition we have yet to prove to you. What can show right away is that the 22 letters (levels) were formed in accordance with the 10-dimensional structure of space that they occupy. To keep it simple, every power of 10 represents a different dimension with 102 presenting a square and 2 dimensions and 103 representing a cube and 3-dimensional space. Every time we increase or decrease the exponential power of 10, we are either ascending or descending a level of dimensionality. It took 22 steps to get down to the 100 threshold, one order of power (103 → 102). If we were to continue another 22 steps of reduction by 10%, we would just cross the 10 threshold, and another 22 steps to get to 1, and so on and so forth. Therefore, it is obvious the numbers, or number of elements, 10 and 22, are mathematically intertwined. Part II will follow shortly, in which we actually split the alef-bet. Do you feel like the world and life is a dichotomy, that it is split or splitting in two? Do you feel that inside you as well? Do you feel like it is a constant battle between good and evil, good intentions and evil inclinations? Do you feel like this has been going on forever? Do you feel the pull between the spiritual and the physical? Do you feel pulled in both directions? Spiritual forces versus technological ones. Do you see how the more technologically dependent we become the less spiritually we behave? Do you feel a major battle brewing? Do you feel like past lives may be influencing you today, that there are influences from beyond tugging at you, trying to compete with the demands of our world and the demands of our technological dependence? Do you feel manipulated? You have been told by master manipulators not to feel like a victim, but deep inside someone is still telling you that you have been. Would you like to understand why you have all these feelings? Would you like to be vindicated that your intuitions were not wrong? The Torah told us right off there was good and evil, technology and spirituality, death and immortality, day and night, light and dark, and Heaven and Earth, all juxtaposed, all dichotomous, no gray scale. Would you like to know how it really works? I apologize for the long delay in revealing the promised true holy trinity and for the lengthy gap in my writings (publishings). Like so many I have been locked in a wrestling match with the dark forces and it has been eating up so much of my time. I graciously accept all your prayers in this fight as I endeavor, B”H, to reveal many more of the deepest secrets and the revelations of light necessary for these troubled times. Many of you have heard the arguments by several distinguished Rabbis that the Hebrew year 5779 may actually be 5778 and they are valid. Nevertheless, we have continually made the point since our earliest works (Nothing is Random in the Universe) that the two dates distinguished by G-d in the first 1000 digits of Pi (3.1415….5778…2019…42019….5778185778…42019) and elsewhere correspond to the years 5778 in the Hebrew Calendar and 2019 CE in the English. Whether these two are consecutive or simultaneous there is no way to know yet, but we assumed they were consecutive, and that G-d has a purpose for highlighting both of them. I want to tell you now that the prophesied events for 5778 did take place and the process did begin then, even if the cloaked world of illusion did not allow most of us to see it. Yes, H’Moshiach, the chosen (anointed One) did arrive on G-d’s schedule, just as it was indelibly encoded in the Torah, recorded in the immutable mathematical constants, and written into our divinely given prayers. To those who understand it is obvious in the gematria, obvious in the unveiling prophesies coming to life before our eyes, and obvious in the signs all around us every day. The Zohar’s description of H’Moshiach leaves no doubt, though it foresaw that we surely would doubt it. In numerous places the Zohar describes the events unfolding today in great detail. Both the Zohar and the prophets told us of the signs that we can see today for ourselves. Just look up and around the world every day. If it is not obvious by the time I finish this series of articles, which will explain the mechanisms of time, the G-d given (beyond any doubt) source code of the Torah, and the G-d given portals (the true holy trinity) to freedom with their combination keys, I will spell it out in plain English. Thanks be to G-d, blessed be He, for allowing me to be any support or play any role in supporting His work and or that of H’Moshiach. Make no mistake, it is a fight that we must all join. Please bear with me over these next few articles, as there is far too much material to write, or for you to read, in one sitting, and, as you can imagine, some of the aspects are very complex. The Zohar tells us specifically that we are blessed to have been born in these times to bear witness to the unfolding events towards the final redemption. It also predicts the opposite for those with predominantly evil in their hearts and under the deceptive spells of the illusionists. These days have been about the scales, whether we have allowed ourselves to be drawn to the light and the goodness, or seduced into the darkness of the evil ones, who would seek to upend G-d’s designs and the natural order by placing the physical world above the spiritual. In all probability, if you are reading this, the scales have already been tipped in your favor, as you have awakened and seek answers beyond the false narratives that you have been handed, and that have been forced upon you. 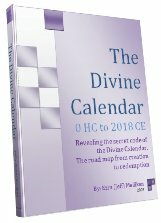 All along, we have shown that the two calendars, Hebrew and Western (Gregorian) were divinely designed to mirror one another (The Divine Calendar), pivot on the year 3760 (0 CE), and converge on the year 5778 (2018 CE). Last August, I was planning on revealing the mechanism and physics behind that Divine time frame leading up to the holy trinity, which is key to our achieving real freedom. 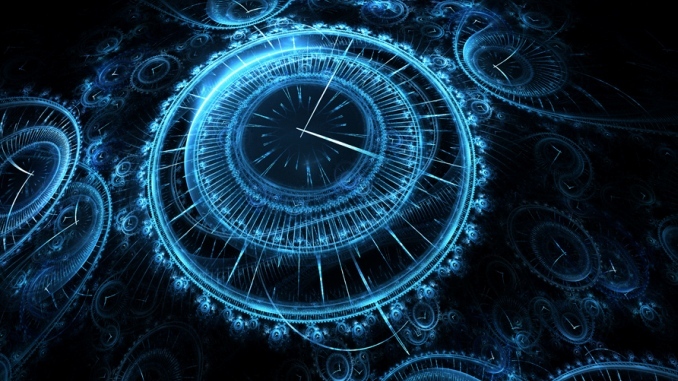 This mechanism is complex and involves understanding the concept that time is not actually linear but spherical, and that there is a plurality of time(s) with infinite possible pathways. I will get to these lengthy explanations in due time, but for the moment there are two aspects that you need to know. First, within this spherical time there is a single time-path or time-line known as the Linear Line of Death, this is the time-line of limitation that we have been convinced that we live on, cannot escape from, and are destined to die on. This line is an illusion, one that was ingrained in your consciousness from the moment you were born. 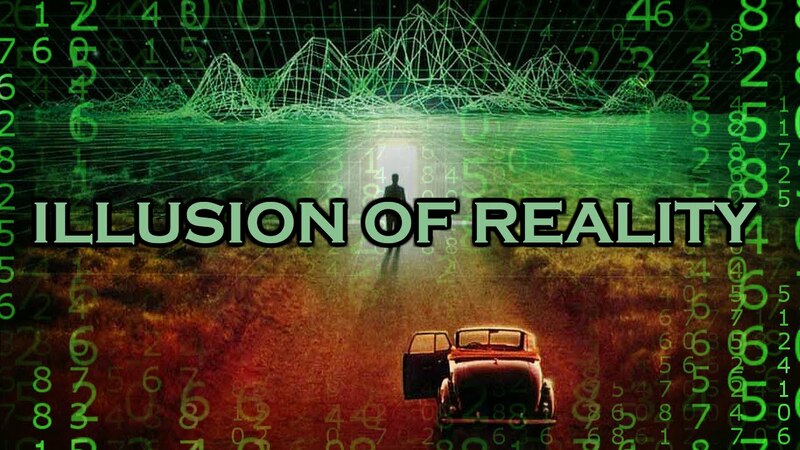 Scientists accept as fact that there are 10 dimensions to our universe and that infinity exists, yet both of these conditions preclude there being any limitations on us, our time frame, or our connections beyond the physicality to the vast spiritual limitless realm of true freedom. The Linear Line of Death is what we call physicality and Kabbalah has always called Malchut. I am about to reveal—I have been writing about them for 15 years now—the identity of the holy trinity because it is not fair to make you wait any longer, though to see how to use them to their and your fullest capacity to achieve spiritual freedom and free yourself from the Linear Line of Death that the illusionists would have you belief is your fate, we will have to wait until the end of the series. This is only so that you have the fullest understanding possible. 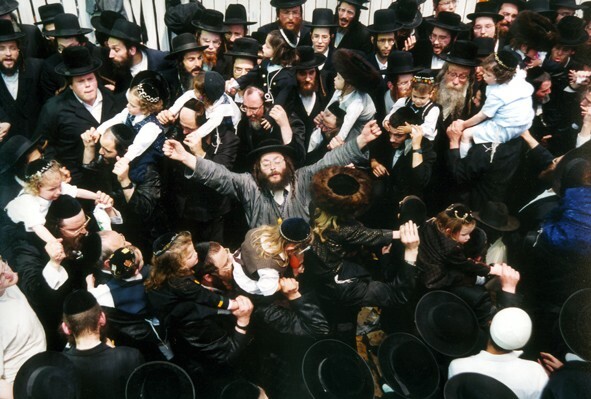 Just to drop a breadcrumb please note that what the Arizal considered the highest spiritual day of the year, Purim, falls exactly 18 months to the day from Rosh Hashannah 5778 in the Western Calendar. Hebrew holidays based on the lunar calendar will always align, but there is no physical reason for the Gregorian calendar dates to align this year. Spiritually, of course, this is the year of convergence. If you utilize some of the main spiritual numbers we have discussed over the years and count back in Western months (a random concept with no Hebrew calendar basis), will you find significant symmetries. If you question why Purim, you must go back to the original pure nature, origin and halacha of this holiday, not the traditions added over the years and the more recent fake traditions taught to many under the guise of spiritual manipulation. Be careful! There are many concealed Names of G-d hidden in the Scroll of Ester for our benefit, and the Zohar in parsha Ki Tetze explicitly warns that using them with evil in your heart (even if you have been tricked into thinking you a pure) converts those Names into evil names, reversing your outwardly intended purpose. Rabbi Chaim Vital of blessed memory warns the same thing in his book, The New Writings and says it is virtually impossible to remove enough of that evil inclination to warrant using those Names, specifically the 72 Names. Their usage was reserved for the tzaddikim, the truly few and righteous throughout history who could handle them properly, which is why until recently no one disseminated them or gave them false meanings. Remember, we live in the world of illusion. Purim is designed to help us break out of those illusions. Those Names are very real and are meant to be a powerful unbroken matrix, not individual toys for manipulation, idol worship, and self-indulging. We are at a critical point, which is why, G-d willing, I will get as many articles out as quickly as I can. 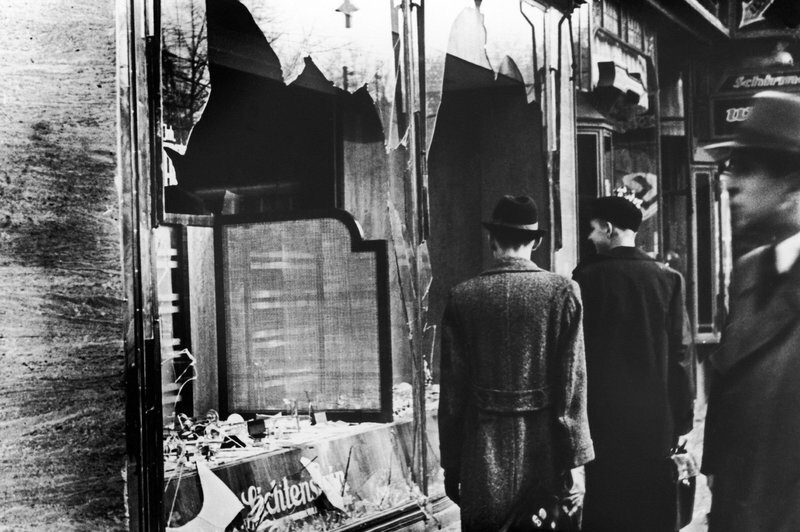 This 3-dimensional wave of time has folded back and reached the 1930’s and our universe is quickly filling up with astonishing degrees of unwarranted anti-Semitism and hatred for Jews and Israel once again. Putting your head in the sand, just as was done in the 1930’s will not make it go away. We already know how that ended. Even the U.S. Congress refuses to condemn anti-Semitism and thus condones it in their own chambers, never mind Polish newspapers printing front page articles on how to determine if someone is a Jew. History can only be our guide if we do not re-write it, as the illusionists are already doing, removing Israel from the maps in public schools and not allowing the name Israel to be mentioned in our universities without condemnation. Revelation is about splitting things in two; it is how that split occurs that determines their ultimate proportion and what will come of it. Shortly, we will show how the splitting of the alef-bet (Hebrew alphabet) in just the right way gave way to the Creation of the Torah and much more. For today, we are going to use the simplest of splitting, in two equal halves to illustrate an indelible connection between the holy trinity and the Divine Calendar. 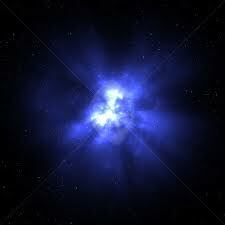 In a sense this is the end point, but after all the explanations, revelations, and understandings, everything will circle back to this point in space, time, and function. The three best and safest access portals to the spiritual world of freedom were given to us at the beginning of time and weaved into the Torah in plain sight. They were made easy to find and use and encouraged by sage, prophet, tzaddik, and Rabbi alike. 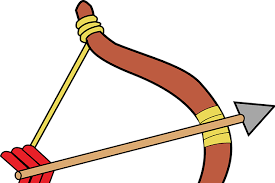 The were used by Abraham, Isaac, and Jacob; Joseph, Aaron, and Moses; David and Solomon; Rabbi Akiva, Rabbi Shimon Bar Yochai, the Arizal, and the Baal Shem Tov. They had proper understanding, which is why I urge patience while we impart and share some of that understanding over these articles, including the keys and combinations locks in their proper time. As Rav Abulafia once explained, nothing we will reveal, nor can we reveal, is without permission granted. The answers and entrances are found in the Shema (Sh’ma Ysrael) prayer, actually through its first and most well-known verse. The second entrance is found in the Torah’s first verse. And the third part of this Holy Trinity is the 42-Letter Name of G-d (The Genesis Prayer) found in all our prayer books and derived from the first 42 Letters of the Torah. 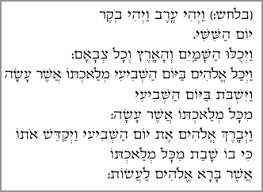 In fact, the Arizal stated that no prayer could be heard in Heaven without the use of the 42-Letter Name (pronounced through the Ana B’koach), which is why it is in all our prayer books. Don’t worry, as Rav Abraham Brandwein of blessed memory explains, this is the one Name of G-d we can pronounce and use, because it is the only one launched from below (our world) to the world above (beyond) through its ultimate connection to the Upper 42-Letter Name, so it cannot be used intentionally or unintentionally for evil purposes. All the connections to all the other Names of G-d are necessarily made directly above. Remember, if you are new to our blog, the numbers represent specific energy levels or frequencies, and according to Number Theory combinatorics they are specific multi-dimensional geometric portals(points). Numbers are not arbitrary and if you stick to one specific cipher system (standard Hebrew gematria) they are immutable and unmalleable, all of which are the reasons that they can be added, multiplied or divided and that their subsequent results can be meaningful. Finally, remember you are reading the end of the explanation before you have even heard the explanation. 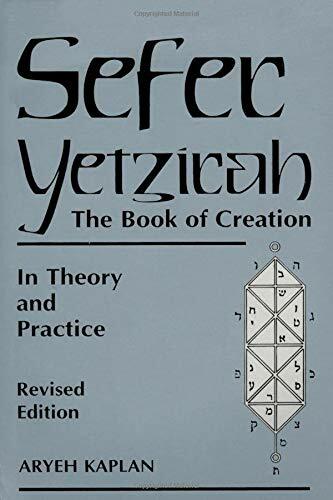 The hints to this hark back 3800 years to a book, the Sefer Yetzirah (The Book of Formation) written by Abraham Avinu (Abraham, the Patriarch), in which what today’s mathematicians now call Number Theory was first detailed. All three words including the word for books have the same root letters (ספר) and thus deeply connected. While the first word of the Shema (sh’ma שמע) has the same numerical value (410) of the word Holy (Kadosh קדוש), the rest of its first verse has the gematria of the Upper 42-Letter Name of G-d (708), thus entire first verse of the Shema is 1118. The first verse of the Torah has a total gematria of 2701, which is the sum of all the integers from ∑1 – 73. The total gematria of the 42-Letters of the 42-Letter Name is 3701, or exactly 1000 more than the Torah’s first verse. Three (3) Books, representing text, communication, and number could very well be the Torah for text, the Shema (Hear) for communication, and the 42-Letter Name for number. When we add these 3 powerful gateways of prayer together (1118 + 2701 + 3701) we get 7520, and when we split that result in half (1118 + 2701 + 3701)/2 we get 3760, the exact year the two calendars pivot on: 3760 HC (0 CE). It is not our purpose today to dive into Torah proofs, though just so that you do not dismiss this equation as coincidence, since you have not yet seen the background and context, when we subtract this same sum from 10,000 (or 10 raised to the power of 4), we get 10,000 – (1118 + 2701 + 3701 = 2480. While 248 is the numerical value of the name Abraham, the Patriarch, which corresponds to the 248 words in the Shema, 2480 itself is the sum of the 5 Names (Bereshit, Shmot, Vayikra, Bamidbar and Devarim) of the 5 Books of Moses, the Torah. 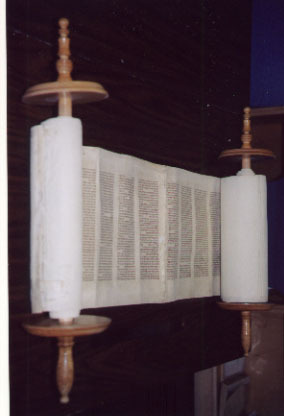 Moreover, while we know that the total sum of the words, verses, and letters in the Torah is exactly 5 to the power of 8, the total sum of words, verses, letters, rows (42 per column) and columns (248) in the Torah can be divided by the all-important mathematical constant Phi (1.618033889…) to give us exactly 248,000. As for further meaning, we need not look further than 3760/73, which is the 3 powerful prayers together divided by the collective power of the Torah’s first verse (1 – 73) equaling 51.50, the kabbalistic equivalent to 515, which the Zohar, the Midrash and the Arizal explain represents the 515 times that Moses prayed (supplicated) to G-d to enter Israel and bring about the final redemption. The number 515 is the numerical value of both Tefilla (Prayer) and Vaetchanan (supplicate). More to follow, including many answers to your many questions, soon. 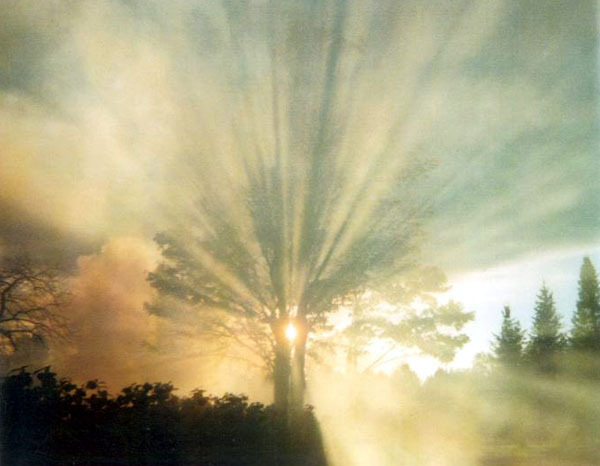 To have faith is to believe in G-d. To believe in G-d is to believe that everything has a purpose, a reason for being. That begins with the numbers and ends with us. There is no physicality without numbers because numbers describe the size and pathways of matter. There is no physicality or spirituality without energy and the numbers represent that energy, bridging the gap between the two worlds. More than just descriptions of the energy’s strength, frequency and amplitude, numbers are also the portals that link the two worlds. They also mark our time and our place in both history and our universe. Given their significance, how can they be random? There not. And once we understand that, we can begin to harness them. Once we truly understand that nothing is random we can start working the system, rather than let the system work us. We have seen repeated how there are digit sequences built into the primordial mathematical constant Pi, which by bending straight lines into a circles and spheres gives our physical world its shape and also by bending time gives it its cyclical nature. We have seen how those sequences relate directly to the Divine Calendar and how both Pi and those sequences have been integrated into the Torah. We have seen how Phi, the primordial mathematical constant that gives shape to the natural spiraling growth in all aspects of our universe, integrally connects to the Torah and to the Divine Calendar. We have seen how the very structure of our solar system can be broken down into a very few specific numbers that artificially repeat over and over again, and also relate directly to the Torah and the Divine Calendar. They all integrate like one gigantic clock mechanism, one that cannot be carved out by random nature. We have seen how the quantitative dimensions of the Torah have a multifaceted purposeful design with an inhuman precision. 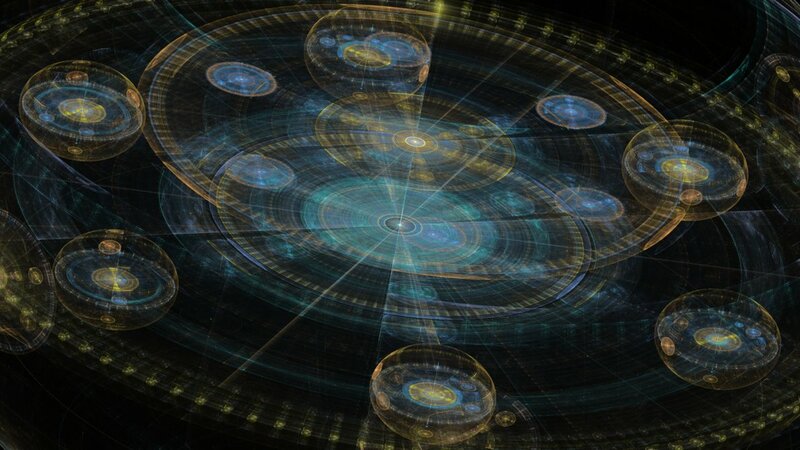 We have seen how the sequential integers both inside and outside those quantitative dimensions can be summed up to reveal the spiritual gateways, linkages, and portals between the worlds. We have seen how viewing the numbers in multiple dimensions by squaring and cubing them and even raising them to higher powers reveals the same symmetry, as does stacking them in pyramids in both 2 and 3 dimensions, as does packing them into geometric shapes like the 541 units that form a 12-gonal star, the Magen David, exceptional in that the numerical value of Israel is 541. Coincidental in that there are 541 rooms in the Capitol building in Washington, and noteworthy in that we have seen the border dimensions of the state of Israel also match up with these highly symmetrical and redundantly coded numbers. There is one set of numbers, though, a subset of the integers, that is considered more primal than all the rest. These are numbers that have no factors other than themselves and One. In other words, they cannot be reduced by division. They are the Prime Numbers. Once again, as they done with every aspect of physicality we have shined a spiritual light on, scientists will tell you emphatically that prime numbers are random and that there is no discernible pattern in them, none. For 2300 years, ever since Euclid defined them as “A prime number is that which is measured by the unit alone,” mathematicians have been looking for such patterns and have poured superior computer power in search of them, and yet have found nothing. Why? Prime numbers are unique, each one is an undividable unity until itself. If they could find a pattern that generates them, they could take G-d out of the equation and call it simply physics. If rather than a generating pattern, there were undeniable patterns within the numbers, if there were proof of deliberate design, the opposite would be true: There would have to be G-d. 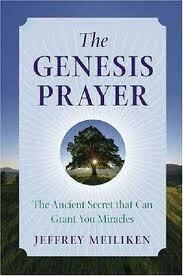 There is the natural aspect of G-d, called Elohim that even Pharoah accepted. It is Elohim that defines the laws of physics. Then there is the higher aspect of G-d, who goes by the unpronounceable (יהוה) and other higher Names. This is the G-d who actually Creates. He Creates with purposeful design that defies the simple laws of physics. This is why scientific elites hand out millions in prizes to anyone who can find generating patterns in the numbers. They do not spend even a moment looking for the more obvious deliberate designs that would rock their world. Thus One (1) divided by a simple sequence of the prime numbers in order gives us 42, followed by 4248, and 100….. or the 42-Letter Name of G-d; 424 twice, as in the numerical value of Moshiach Ben David; and 4248, as in the spelled out 22 letters of the Hebrew Alphabet, including 248, as in Abraham, the first person to acknowledge the One G-d, followed by 100. And this is just the beginning. Diving One (Unity) by a G-d given string of numbers to get another astounding G-d given number is not new to us. In the same Genesis Prayer book we revealed that dividing the number 9 by the numerical string formed by the 42-Letter Name of G-d gave us 9/.1230490… = 73.141593 or 70 plus Pi (3.14159265). 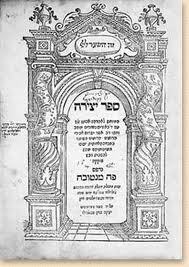 It is not the purpose of this article to discuss the merits of specific equations, it is odd, though, how those same numbers came up when, with the help of Rav Brandwein of blessed memory, we analyzed an unfathomable secret of the Zohar concerning the upper and lower worlds and the primordial aleph (א). It is also notable that when we take only the numbers following the zeros (0)’s in the resultant quotient above, 4.24248100930230605, we get 9265, as in Pi (3.14159265) and as in the primordial aleph (א) equation: the Zohar’s 300109265 worlds divided by (Aleph(א) X Aleph(א)) = 2701, the numerical value of the Torah’s first verse. Nevertheless, we already know everything ties together, and we hope to wrap it up nicely and in a very simplistic way in the final of these three articles. Speaking of Aleph (א) in the Torah, at the very end of parsha Balak in paragraph 107 of Bamidbar, translated as Numbers, we find, as the very last word of the verse and paragraph, the word Aleph (אלפ). Balak had just finished prophesying about the end of days and Pinchas has just saved the Israelites and ended the plague of 24,000. Not only is finding the Aleph (א), the quintessential beginning, in the end noteworthy, but the phrasing in this last verse is also telling. What is most important is that the numerical value of both names together ( מישראל and מיעקב) is 903 as in the sum of the integers from 1 – 42. “From Jacob (מיעקב)” or kabbalistically, “from Tiferet (Zeir Anpin)” begins and ends with (מב) or 42 in gematria, as in the 42-Letter Name, the understanding of which, as Rav Brandwein of blessed memory pointed out, will bring the Geulah. It is not a coincidence that the Israelites endured a journey of 42 places, each punctuated in the Torah with (מב) to reach the Promised Land, or that Balaam tried and failed 42 times to curse the Israelites. The straight line from Jacob to Israel has 42 portions. The gematria of “From Jacob (מיעקב)” is 222 and since Zeir Anpin is 6 or 6000 taking 222 from Jacob leaves us with 5778. Why do we dig and search for meaning in every word of the Torah? Because each word is a well and the deeper we dig the more mayim nukva, the precious pure desirous waters of our world enter it, rather than be squandered about on our arid plain. These mayim nukva solicit the coming down of the Mayim Dukhrin, the upper waters, and like the union between the upper and lower (מב), 42-Letter Names so crucial to our existence, the bonding of the two spiritual waters opens the gates of Heaven to us. Notice that first word is palindromic, ending how it begins, foreshadowing the Aleph in the end. While the final letters of the first 3 words in the verse have a combined gematria of 611, the same as that of “Torah,” we find the two letters (במ) starting off the word for plague(במגפה), which has the same numerical value as Sinai and sulam, ladder in English, which in turn is what the lower (מב) 42-letter Name is, a ladder to the upper world. The next word, four (ארבעה) gives us a clue in that it has the gematria of 278, which is that of “the gematria.” After the four (4), the final two words, including the kolel, have the numerical value 2019. And since aleph (אלף) is synonymous with eleph (אלף), meaning 1000 and eluph (אלף) meaning chief or head of, we should look at the final 4 digits of the first 1000 digits in Pi, in which we had astonishingly found the digit sequence “5778” three times, and the subsequent year 2019 CE another three times. Those last 4 digits comprised the third and last of the “2019” digit sequence. Contemplating again the exact wording of the verse, we see it could easily read “4 and 2019,” just like the full final sequence in those 1000 (אלף) digits: 42019. And since we found it at the very end of the 107th paragraph of Numbers, we need to note that the sum of the integers from 1 – 107 is 5778. And so we see further hints by the Torah that the period at the end of 5778 and start of 2019 is the final transformative shift, when the veils of illusion will be lifted for all to see. The final process begin, as prophesied in the Zohar and elsewhere, 70 years earlier with the birth of the nation of Israel in 1948, just like it was foretold eons ago with the three first locations within Pi (digits # 246, 703 and 996) for the sequence 2019, which with their kolel add up to 1948. This is also the year (1948 HC) of the birth of Abraham 3830 years ago, which mirrors the destruction of the Second Holy Temple in 3830 HC, may the Future Holy Temple be completed swiftly. The Zohar also states in the same section Balak 47:501, “…are for future times, in the period of King Moshiach. We learned that the Holy One, blessed be He, will build Jerusalem and display a fixed star that sparkles with seventy moving planets and with seventy winds that display light from it in the center of the firmament. Another seventy stars will be instructed and guided by it, and it will be glowing and blazing seventy days.” B”H we will all understand this prophecy soon, though days and years are often synonymous in the Zohar and in Kabbalistic terms and this is the 70th year. If we were to add up all nine columns (ie column 1 = 1+2+5+13…151) and divide by 9, we would find that the exact average is 425.778. That is right, 42 and 5778 yet again, irrevocably embedded in primordial mathematics. Once again, we find design in the undesignable. It also works out that the average of the first 45 primes times the number 5 = 425.778. Oddly enough, the sum of the digits in all those primes through 193 equals 402. The sums of each line in this prime pyramid are 1 for the first line, 5 for the second, 23 for the third, 72 for the fourth, 181 for the fifth line, 358 for the sixth line and 625 for the seventh. We stopped counting at seven. While we’ve discussed the significance of 23 in recent articles, and 72 could be said to connect to the 72 Names of G-d, the number 181 is not only the 42nd prime, but 181 is also the sum of the first 42 digits in the primes (2+3+5+7+1+1…)—actually through the 23rd prime—yet another allusion to the 42-Letter Name of G-d. Continuing to the sixth and seventh lines, 358 is the numerical value of Moshiach, and 625 is not only the numerical value of H’Keter (the crown), but it is also the exact square root of the total number of words, letters and verses in the Torah, (the 5 Books of Moses). 625 is also 25 squared, since the total number of words, letters and verses in the Torah is also 25 raised to the power of 4, and this is germane to our discussion because the average of the first 25 primes is exactly 42.4, the numerical value of Moshiach Ben David. Can we still think this is coincidence? By the way, the first 9 primes, the 9th being number 23, add up to exactly 100, or 25 x 4, making their average 11.111111, which is perhaps a connection to Aleph (אלף) of numerical value 111. Since it appears that once placed in a natural pyramidal stacking, the G-d given list of prime numbers may hold hidden significance for us, let us take a closer look. Working our way through the list, we see that while the sum of 23 and 72 is 95, as in the value of “H’Melech (the King)” as in H’Melech Moshiach, the sum of the first four line’ sums (1, 5, 23, and 72) is 101, as in “Michael,” the protective archangel of Israel. Then we see that the line sums 72 and 181, alluding to both the 72 and 42-Letter Names of G-d as mentioned above, add up to 253, which is the sum of the integers from 1 – 22, as in the 22 letters of the Hebrew alphabet, whose spelled out letters summed to 4248, which we have just seen being derived directly from the primes. We have repeatedly seen how the sums of the integers is integral into the design of the Torah, starting with its first verse of 7 words and the sum of the integers from 1 -7 being 28, as in the 28 letters in those 7 words. Therefore, it is no surprise that the very next prime after the sum of the 6 th line of primes, which is 358, that of Moshiach, is 107, the 28 th prime. What is most significant is that the sum of integers from 1 – 107 equals 5778, meaning that the 6th line, or interpretatively the 6th millennium, results in 358, Moshiach at 5778. By the way the final prime before prime # 107 is 577. Moreover, 7 is the 4 th prime and while 7 x 4 = 28, the sum of the first 4 consecutive primes (2,3,5,7) is 17 and the sum of the sums of the 6 th and 7 th lines, 358 (Moshiach) and 625 (H’Keter) respectively, together equal (1000 – 17). 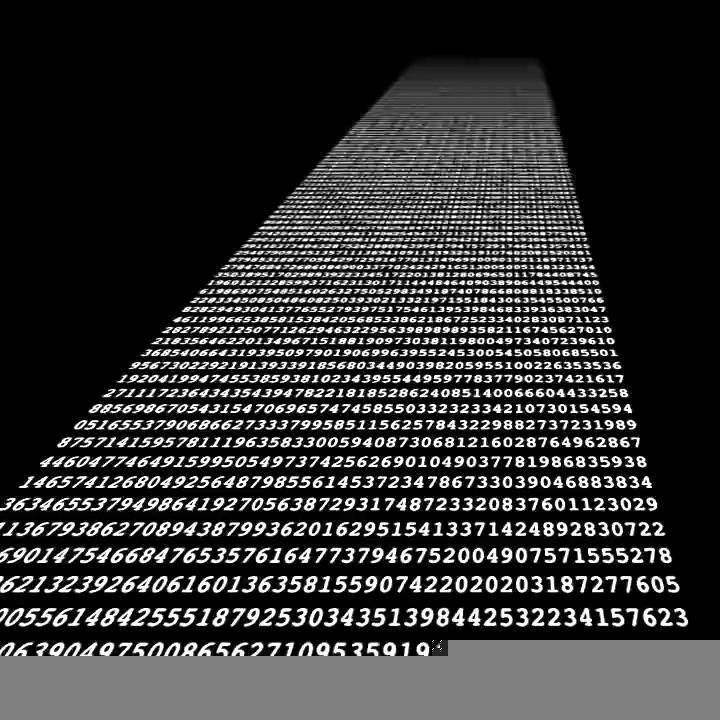 This can be seen as tying back to the 1000 digits of Pi, aleph (א) and to the millennia. The 4 th verse of the Torah states, “G-d saw that the light was good.” The gematria of Good (טוב) is 17 and that of the entire verse including a kolel of 20 for the 20 letters is (1000 – 17). The word 20, esrim has the same numerical value as Keter. Perhaps it is a hint of what is to come soon as the continuation of the verse is G-d separated the light from the darkness. וַיַּבְדֵּל אֱלֹהִים, בֵּין הָאוֹר וּבֵין הַחֹשֶׁךְ. Even within just this first group of primes, there are an endless stream of significant numerical equivalents derivable from the strings of consecutive primes. Here are some examples that further show a divine intent in the design of the primes, as opposed to a random naturally occurring sequence. Of course, that would not be possible without G-d. While some could argue that super intelligent aliens could create the infinitely complex Torah and that incredibly powerful and intelligent aliens could create our solar system, how could they create the infinite set of irreducible prime numbers? They could not. The average for the first 77 primes is 19480, which is interesting only because Abraham, the Patriarch was born in 1948 HC and lived for 175 years, while the average of first 53 primes is exactly 110, Joseph’s age. Keep in mind that the 3 locations within the first 1000 digits of Pi (digits # 246, 703 and 996) for the sequence 2019 with their kolel add up to 1948. Moreover, we are now in the prophesied 70 th year from 1948 CE, when the state of Israel was founded, which is all the more amazing because the sum of the logarithms for the numbers 1 – 70 equals 100.0 and the 100th prime is 541, the numerical value of Israel. If you recall, following Moshiach Ben David 424 and Abraham 248 in the Primal Equation (1/.23571113… =4.24248100) is 100. Maybe G-d wanted to send us messages where no one could mess them up, where there could be no fake news. Like the 7 lines in the 42-Letter Name of G-d, the sum of the first 7 consecutive primes (1,2,3,5,7,11,13) is 42. The sum of the first 9 consecutive primes (1,2,3,5,7,11,13,17, 19) is 78. The sum of the second 9 consecutive primes (23,29,31,37,41,43,47,53, 59) is 363, Moshiach Ben David. Thus the sum of the first 18 consecutive primes (1,2,3,5,7,11,13,17, 19, 23,29,31,37,41,43,47,53, 59) is 441, “Emet (אמת), truth.” This is like the sum of the stacked 20 cubes in the core of the Great Pyramid, whose sum (1^3 +2^3 + 3^3…20^3) equals 44,100. Once those 20 cubes were stacked they equaled 210 units (cubits) in height, which is the exact height of that pyramid, both in cubits and in its 210 This would correspond to the sum of the 8 consecutive primes (13,17,19,23,29,31,37,41), which is 210. 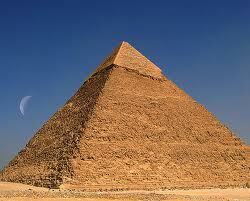 Then the very next 6 consecutive primes (43,47,53,59,61,67) adds up to 330, the base measurement of that pyramid in cubits. Is this also coincidence? Our civilization’s knowledge of primes was supposed to have begun 2300 years ago with Euclid; now we are pushing it back another 1200 years at least to whoever designed the Great Pyramid. Emet (אמת), is the seal of truth we say after each Torah reading, so how fitting that the 15 consecutive primes that include both the height and base of Great Pyramid (13,17,19,23,29,31,37,41,43,47,53,59,61,67,71) equals 611, the numerical value of “Torah.” Also, how fitting is it that the sum of the digits in those consecutive primes is 125 or 5 cubed, which corresponds to the sum of the 3 main structural elements of the Torah, which is 5 raised to the 8th power. The full first 21 primes from 1 – 71 equal 661, when the kolel of 21 is included and since Purim is the only holiday that we will celebrate after Moshiach arrives, it is fitting that that 661 is the numerical value of Ester. The primes from 1 – 21 represent the full first 6 levels of the prime pyramid, with the 6th level possibly representing the 6th millennium in the 21 st century, and definitely totaling 358, Moshiach. 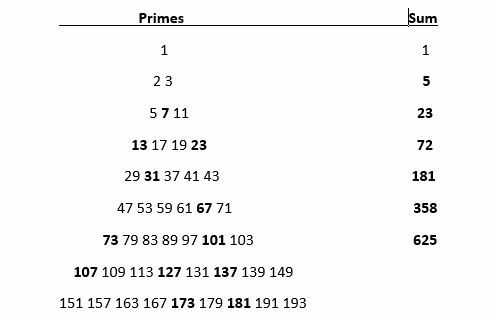 The sum of the digits of those first 21 primes is 144 or 12 squared. 73 is the 21 st prime and the Torah’s first verse has a numerical value equal to the sum of integers from 1 – 73. The final letters in the first 3 words of the Torah spell Emet (אמת) of value 441, or 21 squared, the final letters of all 7 words (from the 28 letters) of the Torah’s first verse add up to 1371, which is the total of the first 28 primes, ending appropriately enough with the number 107. Moreover, since 107 is the next prime after the sum of the 6 th line of the prime pyramid, which as we showed totals 358, the value of Moshiach, it is interesting to note that when we add 358 to 1371, we get 1729, as in the exact 1729 words of numerical value 26 in the Torah, with 26 being the all-important value of the Tetragrammaton (יהוה). The average of first 91 primes starting with 1 is exactly 210, with 210 being the Israelites years in exile in Egypt and the height of the great pyramid, and the product of the first 4 primes (2,3,5,and 7) The number 91 represents the all-important union of the Tetragrammaton (יהוה), of numerical value 26 and Adonai (אדני) of numerical value 65 that we will discuss in the conclusion of this three part article when we reveal the Trinity. Speaking of trinity those 210 cubits and/or 210 levels measure 5775 inches, so add 3 to them for 5778. And if we were to sum up all the integers between 26 and 65 (i.e. 27+28….63+64) they would also equal exactly 1729. Moreover, if we were to sum all the integers from 26 to 65 (i.e. 26+27+28….63+64+65) inclusive they would equal exactly 1820, the precise number of Tetragrammatons (יהוה) in the Torah. We have written about 1820 before and will touch on it again in the final article, but know that it also equals 91 x 20, the number of the stacked cubes which form the central tower that has been hidden in the center of the Great Pyramid for thousands of years. The 28th prime is 107. The next to last prime before it is the 27 prime, 103, so the last two primes are 103 and 107, which total 210, alternatively 27 and 28 equals 55, the height of the entrance to the Pyramid in feet and the sum of the integers from 1 – 10, which is also the number of inches in 2 cubits, and the square root of the perimeter of the Pyramid in feet. Also, If we add the prime numbers in the 1st, 2nd, 3rd and 5th prime pyramid levels (1 + 5 + 23 + 181) we get 210 yet again. The sum of the 6 consecutive primes (37,41,43,47,53,59) equals 280, the value of the five final letters in the Hebrew alphabet associated with the end-of-days. There is also the sum of the 3 consecutive primes (53,59,61) that equal 173, the small gematria of the 42-Letter Name of G-d and also the 40th prime number. 173 is also the average of first 78 primes, starting with 1, while the average of first 42 primes, starting with 1, is exactly 7857. Adding a 4th consecutive prime (53,59,61,67) equals 240, the value of Amalek, the eternal enemy of Israel. We see entwined within the prime numbers, found right at the beginning where we could not miss them, the numbers associated with G-d’s names, 72 and 42, and the value for Moshiach, 358. Then when we add the value (26) of the Tetragramamton (יהוה) they sum to 496, the numerical value of Malchut, our world, meaning Kingdom. It is the third perfect number after 6 and 28, a very small set of numbers, whose factors equal itself. We touched on factorials as they applied to the Torah in The Genesis Prayer. Factorials are when all the integers up to a number are multiplied together, rather than added so it is apropos that there are 181 digits in 111! (111 factorial), connecting the sum of primes yet again to Aleph of numerical value 111. And yes, (181 – 70) is 111. 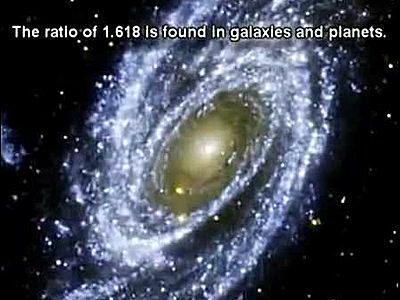 Whatever G-d’s plans and the designs He built into our universe the digital string “181” occurs at position 728 with the constant Pi after the 3, and Resolution 181 was adopted by the United Nations on November 29, 1947. This resolution was designed to divide Britain’s former Palestinian mandate into two separate Jewish and Arab states by the date that the mandate was set to end. And referring to the prime pyramid line sums (5,23,72,and 181), the number 181 is also the 5 th Star number, which is a centered figurate number that represents a centered hexagram in other words a six-pointed star like the Magen David. The numerical value of Israel (541) also is a Star, number, the 9 And we saw earlier how 72 and 181 summed up to form 253, the sum of the 22 letters of the Hebrew alphabet, so its interesting that 253 is also a star number, the 6th. And while 661, the numerical value of Ester discussed above is the 10th star number, the 3rd Star number is 73, representing the Torah’s first verse (2701) as the sum of the integers from 1 – 73. Incidentally, the 2nd star number id 37 and 2701 = 73 x 37. The first star number, though, is the most important of all, 13, the numerical value of Echad (One) and Ahava, (love). With this, we wish you a Shabbat shalom. This is a concept we will develop further in the final article. In the meantime, when you look at anything in this world look past the forgery and the fake, look past the words and works of man, and see the hand of G-d in it all. 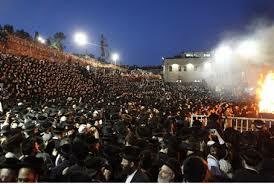 The Gates of Moshiach have been opening wider every day since we started counting the Omer this year. 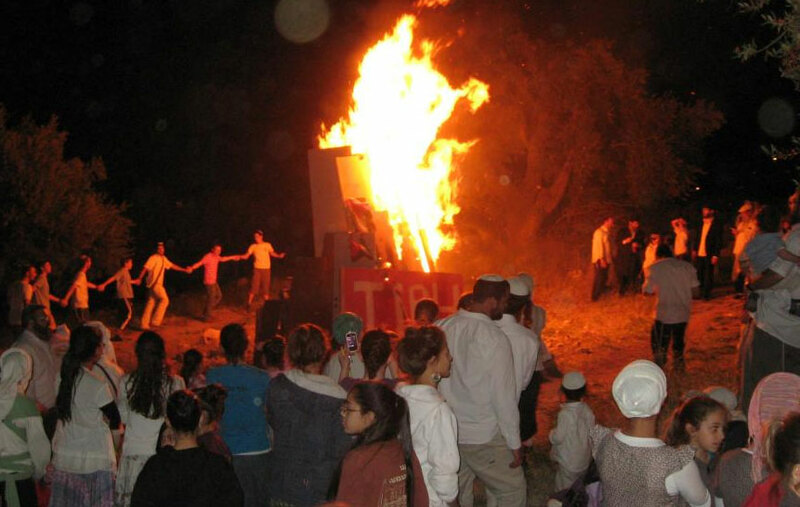 In Israel this week, corresponding with Lag B’Omer 5778 HC, the Torah portion Behar will be read; it is the first of the linked portions Behar-Bechukotai, which have 57 and 78 verses respectively, concluding the Third Book of Moses. As Yaakov recently pointed out to me, the year 5778 when split into 57 and 78 is representative of the 57th prime number, 269, and the 78th prime number, 397, which together are (269 + 397) or 666, as in the 66.6 jubilee years from the Exodus from Egypt and the giving of the Torah at Sinai in 2448 HC. Oddly, the digits in 2+6+9+3+9+7 = 36 and the sum of the integers from 1-36 also equal 666. We have shown many times how Rav Ashlag determined 5778 to be the year of Moshiach using the Kabbalistic principles of 333 and 666 (1/3 and 2/3) when applied to the prophesied 6000 years, and we more recently showed how the Arizal hinted at using the same principles to arrive at the 33 rd day of this Omer to pinpoint the date. The Arizal guided us to take 2/3 (.666) of the 150 days from Zot Channukah to Shavuot, in other words from the revelation of the full light of Channukah to the revelation of the full light of the Tree-of-life and the Torah on Shavuot. This gave us, as he indicated, Pesach. 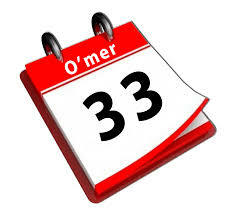 He then indicated that we were to take the remaining 1/3 (.333) of the 50 days of the Omer and similarly split it again, which gives us Lag B’Omer, the 33rd day of the Omer, the 18th day of Iyar. Following Rav Ashlag and the Arizal, we find that this Lag B’Omer 5778 corresponds in multiple ways with the recent findings of Rabbi Glazerson’s Torah code searches, correlating it with Moshiach. The number 5778 represents the sum of the integers from 1 to 107, and if we continue dividing the remaining 17 days from Lag B’Omer on the 33rd day of the Omer to the totality of the revelation of the light on the 50th day, Shavuot, using the 1/3 and 2/3 splits we get in this year in particular, the 14th of May, the day Israel actually completes the prophesied 70-year period until Moshiach in the Gregorian Calendar. This is also the date Donald J Trump has blessed Israel with the official transfer of the US embassy to Jerusalem. Six days later we receive Shavuot, the day (time) of illumination, when our vessels are fully capable of receiving the light of Mashiach. To our modern scientists, numbers are the underpinnings of the universe, enabling us to quantify the energy patterns that lie underneath. To the ancient kabbalists the numbers represent the Hebrew letters which are the underpinnings of the universe, enabling us to quantify the energy patterns that lie underneath. The holidays are just cosmic windows within those underpinnings, and the holiday of Shavuot (שבעות), as it is spelled in the Torah, has the numerical value 778. Its root letters (שבע) indicate, not only its origins of counting 7 weeks of 7 days each, but also of its purpose as the gateway to the 7th millennium, the great Shabbat (שבת), which is likewise included within Shavuot (שבעות). The final 2 letters (תו) of Shavuot (שבעות), indicating an end, as they spell out the letter Tav (תו), the final letter (ת) of the Hebrew alphabet and of the 7th line of the all-important 42-Letter Name of G-d. Moreover, not only are the initials (ש–ב–יח) of Rabbi Shimon Bar Yochai, whose hillulah we, and all of Israel, celebrate on Lag B’Omer, found within those same vertical initials of the 42-Letter Name, but the gematria value of his name “Shimon Bar Yochai ( שמעון–בר–יוחאי)‘ר”) is 903, the same as that of the sum of the integers from 1 to 42. And as if that were not enough, the final 2 letters (זק) of the 6th line (יגלפזק), corresponding to the 6th millennium, have the numerical value 107, as in the sum of all the integers from 1 – 107, which total 5778. 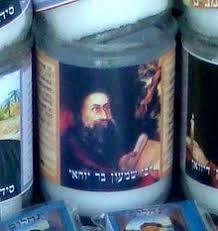 As we celebrate Rabbi Shimon Bar Yochai this Lag B’omer we must have Moshiach and the 42-Letter Name of G-d in our consciousness. 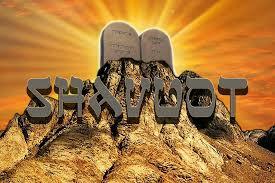 Then the following day, this Friday night, Shabbat, when we recite the Kiddush we must have ISRAEL in out consciousness. 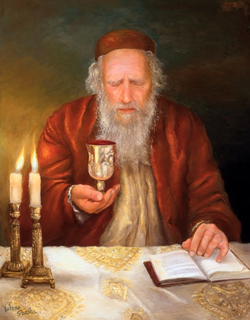 When we recite the Kiddush of Friday night we begin with 6 words from the first 6 days of Creation and the rest of the 41 words are from the description of the 7th day in the second chapter of the Torah. 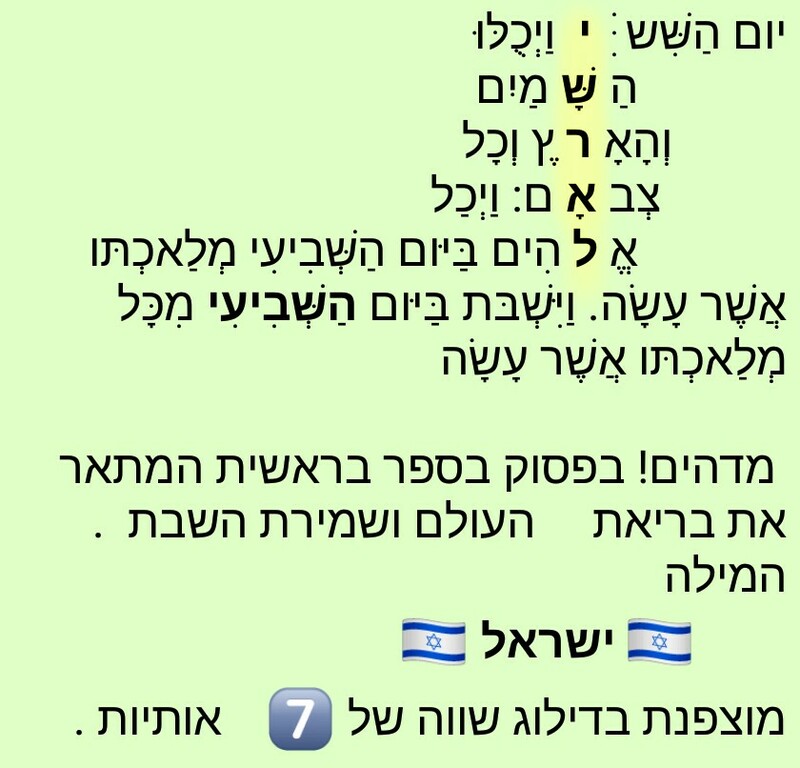 Of those first 6 words, 4 are recited silently and they translate as “it was night, it was day,” followed by “on the 6th day there was Heaven (יום–הששי–ויכלו–השמים),” which has G-d’s Name (יהוה) encoded into its initials. This is the first time this Name of G-d appears in the Torah. Then beginning with the 7-letter phrase “it was morning (day)” of numerical value 333, we have 6 groups of 7 letters, or 42 letters in total, which spell out the name ISRAEL (ישראל) through the 7th letter of each line. So the name ISRAEL starts on the 14th letter, or 1/3 (.333) into the 42 letters. Likewise, within the 41 words from the Torah recited as part of Kiddush, the word Elohim, where we find the letter Lamed (ל) of Israel (ישראל), divides the passage into 1/3 (.333) and 2/3 (.666). Moreover, because the gematria of the verse of the 4 words recited out loud in “on the 6th day there was Heaven(יום–הששי–ויכלו–השמים), is 1948, without the 2 corresponding letters from the name Israel (יש), we see that right after the dawn, G-d (יהוה) gave us Israel and destined it to become a nation, 70 years ago on May 14th 1948. 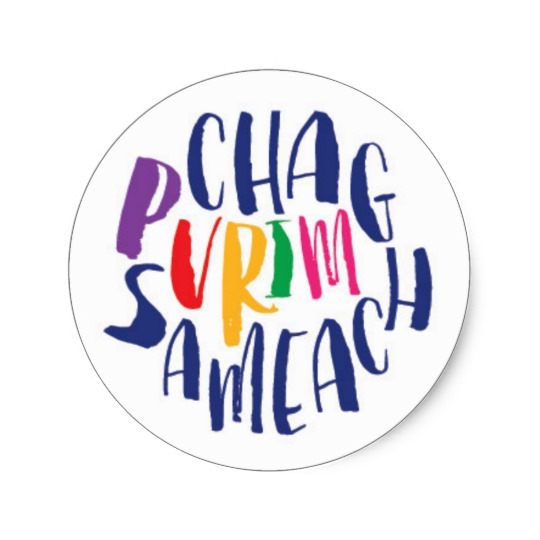 With Lag B’Omer and these last 17 days, let us do all that we can to honor G-d’s intentions for us and, as the nation of Israel, let us inject as much love and unity into the land of Israel and the world, in order manifest the light of the Tree-of-Life and Moshiach consciousness for all. As per Hashem’s and the Arizal plan, let us call upon Rabbi Shimon Bar Yochai and the 42-Letter Name of G-d for help and support. And since King David’s hillulah is on Shavuot and since the midpoint of his 70 years is also the midpoint (2889 HC) from Adam to Moshiach in 5778, let us heeds G-d’s helpful clues and call upon King David’s support on Shavuot as well. The Gates are wide open; we still have to step inside.